Martin O’Neill hails Ireland’s rugby team after their epic victory against New Zealand at the weekend. Martin O’Neill will send the Republic of Ireland out against Denmark on Monday hoping a little of the magic their rugby union counterparts produced against New Zealand rubs off on them. 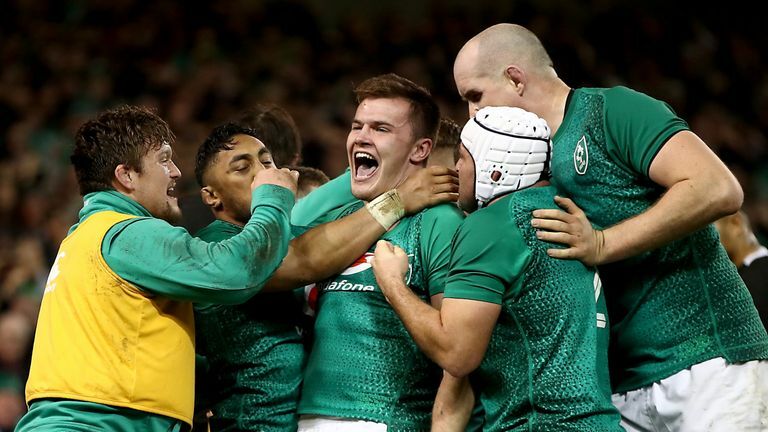 The management team and the players watched on television from Aarhus on Sunday as Ireland laid down a marker for next year’s World Cup by beating the All Blacks in Dublin. Asked if his players could take inspiration from that achievement as they attempt to win in the Nations League for the first time at the last attempt, O’Neill said: “The rugby team are brilliant, it’s the strongest Irish side that I have ever known since I was growing up.